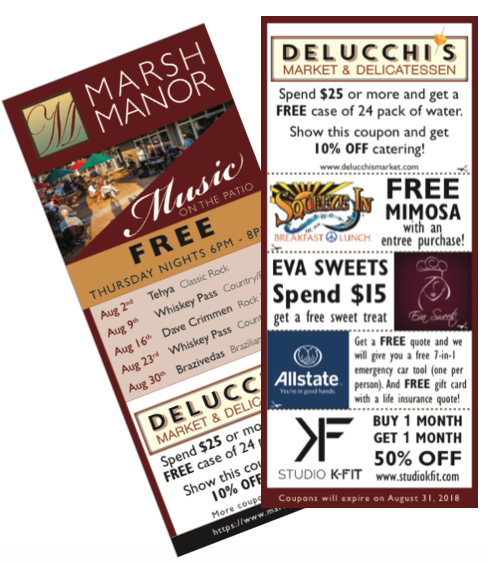 NEW: Marsh Manor Discount Card! NEW: Marsh Manor Discount Cards Are Now Available! We have Marsh Manor discount cards spread out around the shopping center and around the neighborhood! Check the Almanac newsstands and newspapers. These cards are filled with coupon deals from some of your favorite Marsh Manor shops. Visit a participating shop and grab a card to claim the deals! 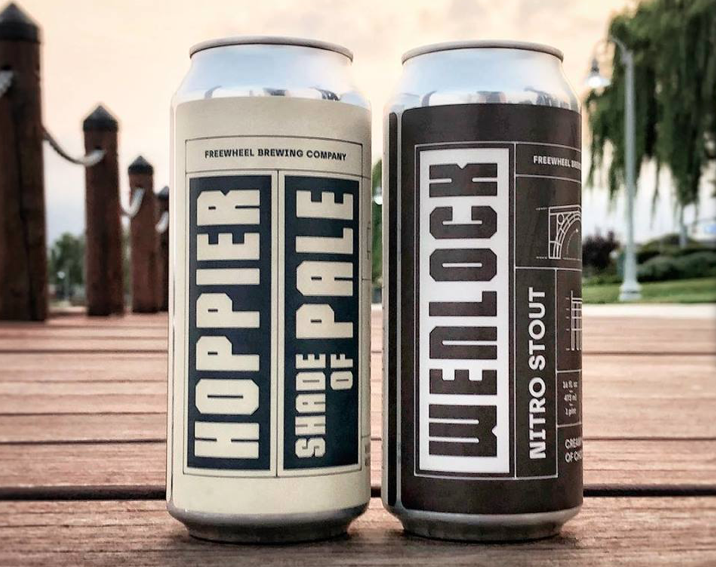 Freewheel Brewing Company Releases Cans! Freewheel Brewing Company introduces their first ever FREEWHEEL CANS!!! Available in single cans and 4-packs! You can purchase them at their pub and bottle shops starting. They will put out a list when available. So stay tuned and cheers! 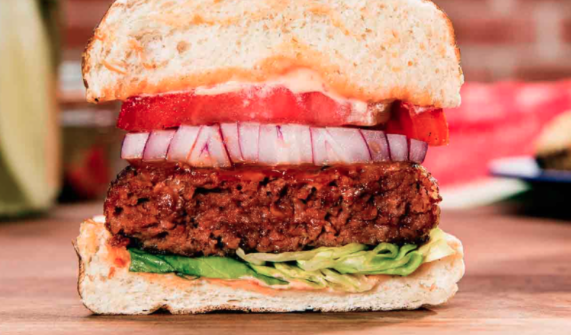 The world’s first plant-based burger now available at Delucchi’s! The Beyond Burger is the world’s first plant-based burger that looks, cooks, and tastes like a fresh beef burger. It has all the juicy, deliciousness of a traditional burger made with meat, but comes with the upside of a plant-based meal. The Beyond Burger packs 20 grams of plant-based protein and has no GMOs, soy or gluten. 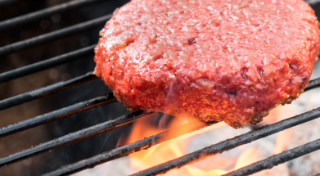 Come on in Delucchi’s Market and find some Beyond Burgers! Whether you’re looking to make tacos for the family, gameday munchies for your friends, or a hearty, healthy meal for yourself, Beyond Meat’s 100% plant-based products are perfect for any occasion. Their mission is to create mass-market solutions that perfectly replace animal protein with plant protein. 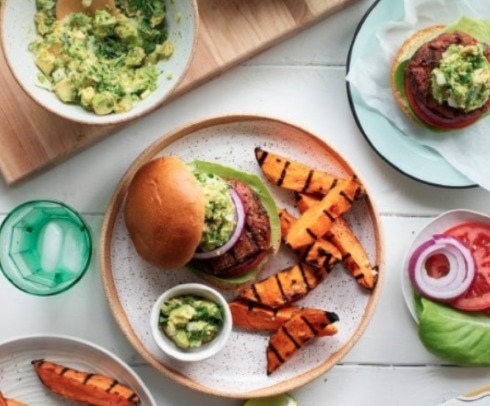 The Beyond Burger is a ready-to-cook “raw” patty that looks, cooks, and tastes like a fresh beef burger. The Beast is a precooked frozen patty shelved with other frozen items. NOW IN 10,000+ RESTAURANTS, HOTELS, UNIVERSITIES, AND DELUCCHI’S! Discover the power of flexibility with resistance stretching! Check out Stretchworks resistance stretching classes and workshops! They offer group classes and private sessions in Resistance Flexibility & Strength Training (Resistance Stretching), Yoga, and Massage. All their instructors are dedicated to teaching and sharing their own personal style of flexibility training. Their comfortable studio imparts a feeling of balanced, healthy energy. Come visit them to experience a class or a private session designed just for you. They believe that everybody needs to stretch to relieve tension and to activate a greater sense of wellbeing and optimal health. Learn which pranayamas to employ when you feel sluggish and low energy, and what types to engage when you feel anxious and stressed. Practice pranayama in combination with Yin, Vinyasa and Restorative Yoga, feeling the subtle, yet profound, effects of this time-tested discipline. Sharon Dawson has been studying and practicing pranayama for over 40 years. Pranayama and Asana will be skillfully interwoven throughout this workshop. Be prepared to move, sweat and experience stillness. Learn how to practice and teach basic techniques and to deepen your personal pranayama experience! For those participating in Vibe’s 500 hour teacher training program, this elective will count for 3 hours. Also open to students and teachers who want to deepen their knowledge. 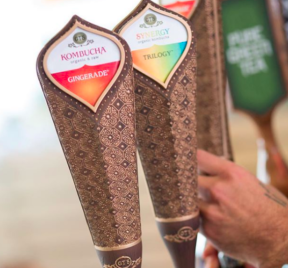 Take a look at Delucchi’s Market NEW Kombucha on Tap! 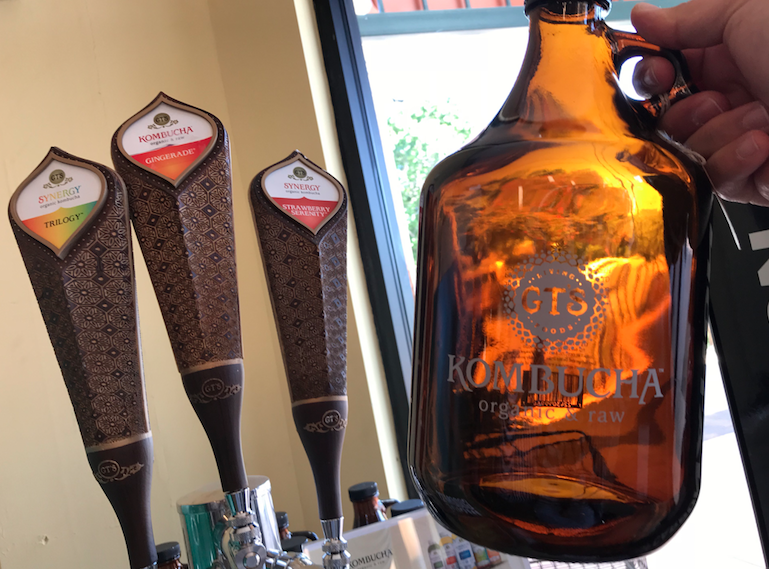 They now have GT’S Kombucha on Tap! That’s right, you’ll be able to serve yourself fresh Kombucha. They will still have bottled varieties available in their Kombucha and tea aisle, but fresh is better. 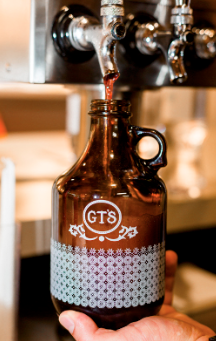 There will be growlers which you can refill every time you come back. Come on in and check it out! Raised by parents practicing Eastern philosophy, GT Dave adopted a spiritual view of the world from a very young age. Gifted a Himalayan Mother SCOBY in the early ‘90s, the Daves were intrigued by Kombucha’s ancient healing properties and decided to brew their own batches of the fizzy, fermented tea. In late 1994, GT’s mom, Laraine, was diagnosed with a highly aggressive form of breast cancer. When she healed, Laraine shared with doctors that she had been drinking a very pungent, homemade tea. That tea was GT’s Kombucha. Inspired by his mom’s experience, it became GT’s mission to make his Kombucha accessible for everyone, everywhere. At only 15, he began bottling his brew in the kitchen of his parents’ Southern California home and became the first to put Kombucha on shelves in the U.S.
At GT’s Kombucha, they have stayed true to the authentic brewing process of this sacred elixir for over 20 years. Their #1 selling Kombucha is raw, organic, naturally effervescent, and handcrafted in small batches – always cultured, never compromised. Get 50% OFF on your 2nd month membership at K-FIT HIIT! Pay 1 month membership, receive second month 50% off!! New workouts daily in order to prevent plateaus. We keep every session small so that we can maximize trainer to client focus for best results. 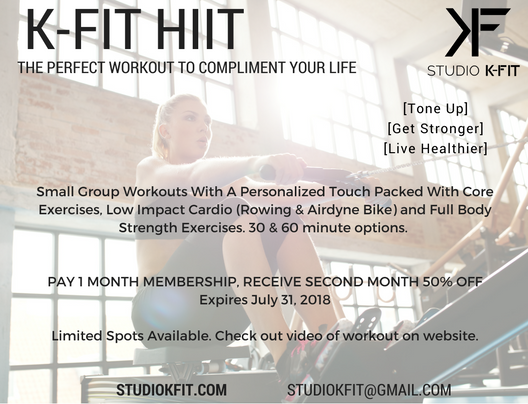 Learn More about K-FIT HIIT! Check out Eva Sweets’ New Space! 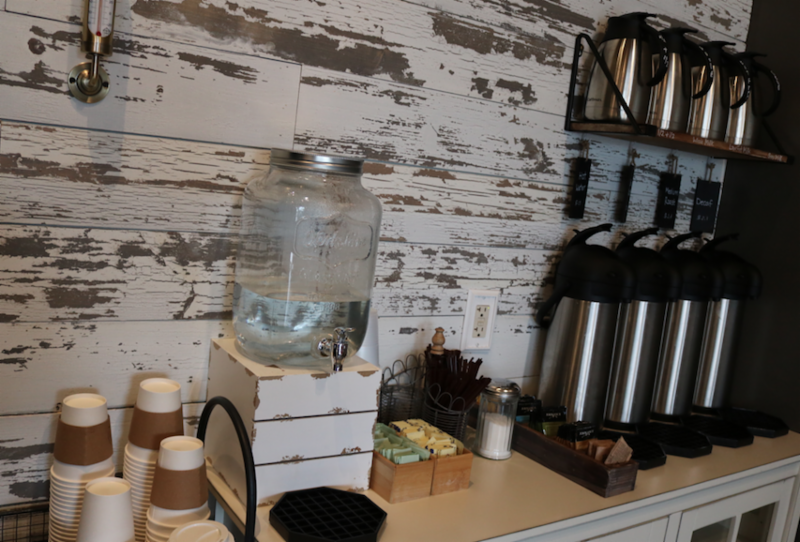 Come and enjoy Eva Sweets’ fresh look, flavors and a cup of artisan coffee! We have up scaled the interior design of our store to be warm and welcoming. 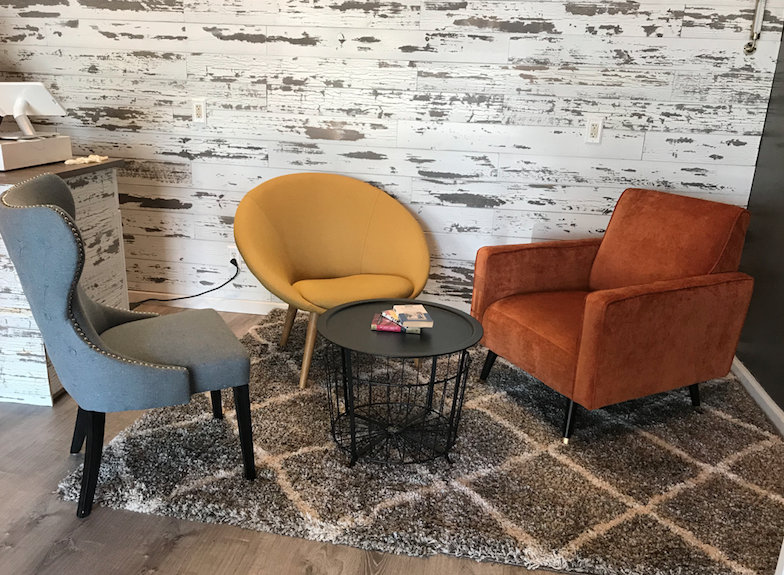 We’re introducing a home-style decor with books and journals, soft ambiance tunes, fresh brewed coffee and, of course, our amazing and diverse collection of desserts. Three new and exciting additions will be added this week: artisan sandwiches made fresh every morning, four types of quiches, and our amazing Granola & Greek yogurt muesli! 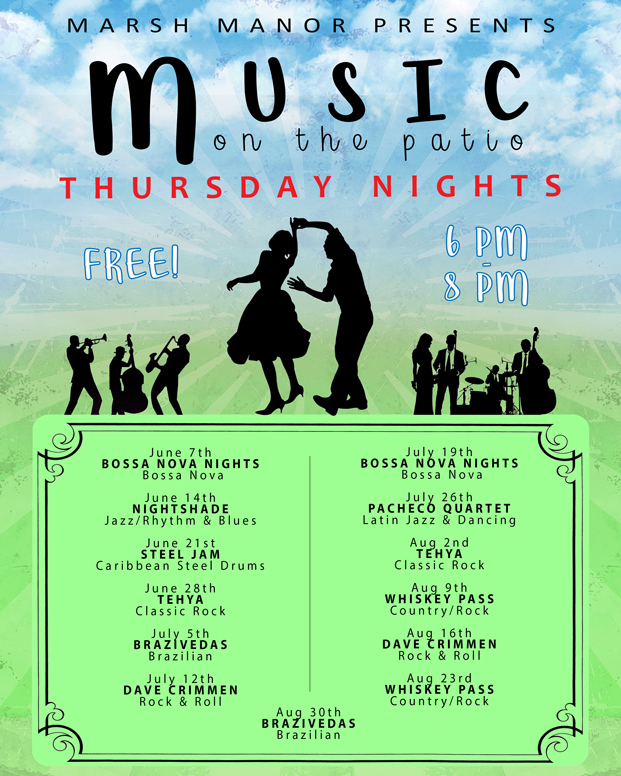 Music on the Patio Schedule! Summer is coming and you know what that means, Summer concerts!! Our weekly Summer concerts will start up on the first week of June. Come on down, bring your family & friends and listen to LIVE music! Every Thursday night from 6 pm – 8 pm for the months of June, July, and August. What’s coming up at Freewheel Brewing Company! 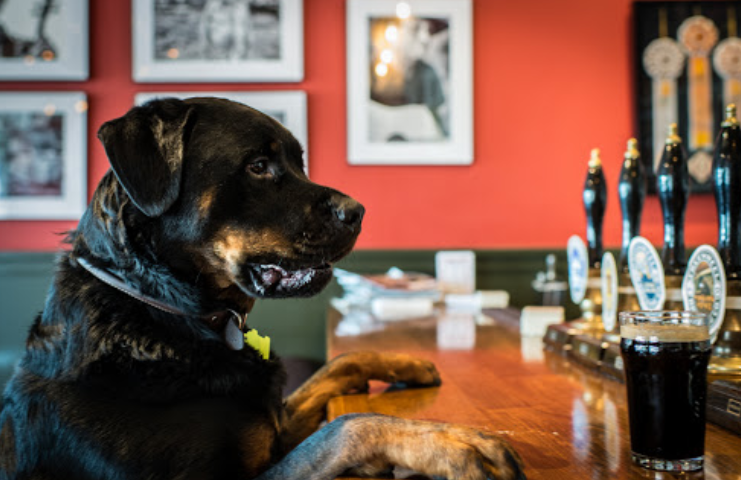 Check out what’s happening at Freewheel Brewing Company! Join them for one of these events: Monday Night Pub Quiz, Live Music, Singles’ Trivia Night, Watch Party, Game Night, Painting, Knitting, and more! View the events calendar below. Join Delucchi’s Easter Egg Hunt & WIN Prizes!! Join the Egghead Breakfast Club at Squeeze In! 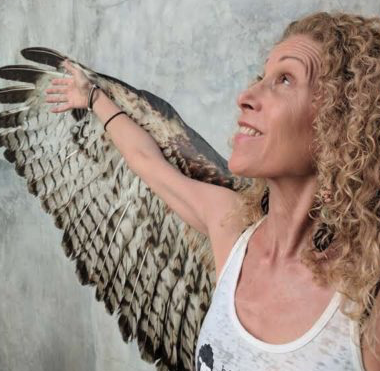 Eva Sweets has a new website!